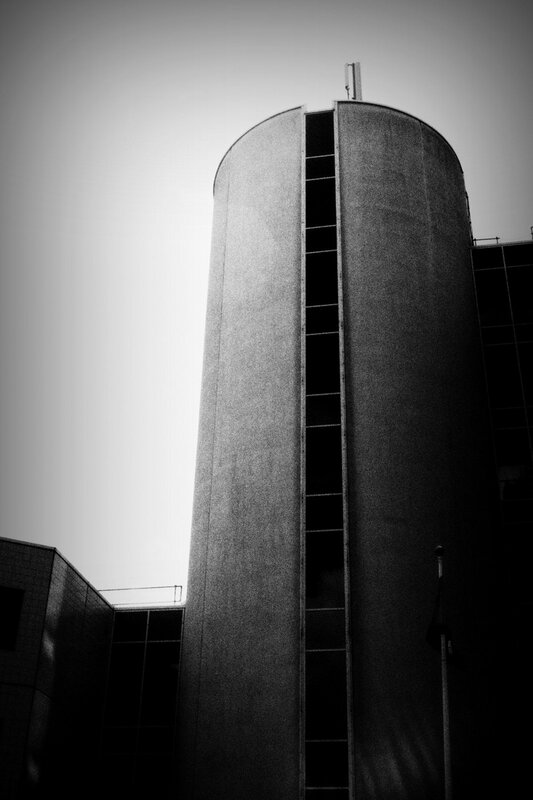 the north rhine westphalia state archive in duisburg’s inner harbour. 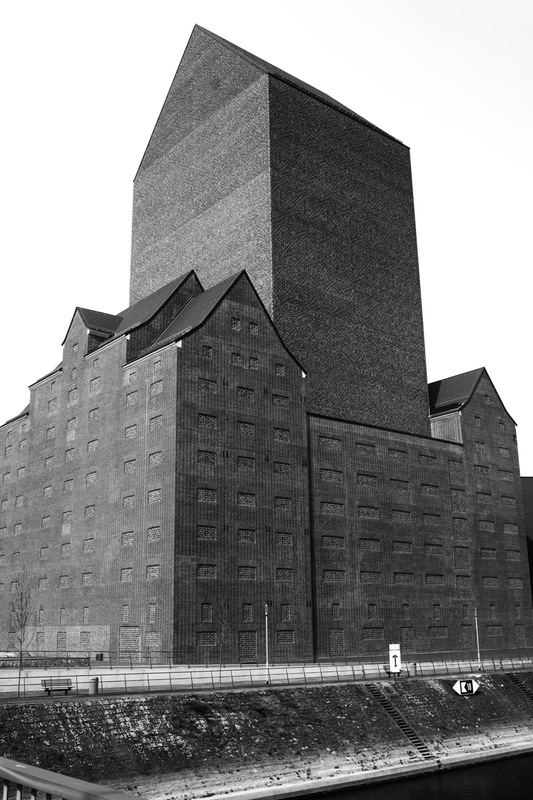 this is an ex-warehouse from the 1930s that got its dominant tower in 2014 by austrian architects ortner&ortner. the complete archive will be able to hold about 150 km of shelving.